California native Marjorie C. Luesebrink, who writes under the name of M. D. Coverley, has been creating electronic literature since 1995. Her work has been published by Eastgate; The Iowa Review Web; New River; Salt Hill; The Salt River Review; Cauldron & Net; Artifacts; and The Blue Moon Review. It has also been featured at the Guggenheim, the Digital Arts Center at UCLA, Brown University, and trAce, and she is one of the writers selected for a retrospective at the 2012 Electronic Literature Organization Conference. She is a Professor at School of Humanities and Languages, Irvine Valley College in Irvine, California, where she teaches creative writing. For her Authoring Software statement, The Making of Tin Towns and other Excel Fictions, she documents her new work, Tin Towns, an information-intensive narrative that explores loss/losses in a technological framework, from the role of tin shortages in the demise of the Bronze Age to the technologies of human and site care systems in the under-reported aftermath of the Fukushima disaster. Focusing on the complicated process of selecting authoring systems for new media in a changing software, platform and interface environment, in her statement she discusses the process of creating a work of electronic literature using the spreadsheet application Excel. We normally think of fiction narratives as represented in linear text. Yet, Electronic literature works -- the born digital varieties -- have been created with and contained in a range of innovative and often non-linear applications. Tin Towns and Other Excel Fictions experiments with making fiction using spreadsheets. Applications, of course, dominate the narratives of many of our activities today, and the spreadsheet as a way of describing realities, or fictions, is prevalent everywhere. This project is a suite of stories that gather a set of "data points" reflecting intersections in technology, history, economics, and memory that tell a tale of human behavior and unexpected loss. 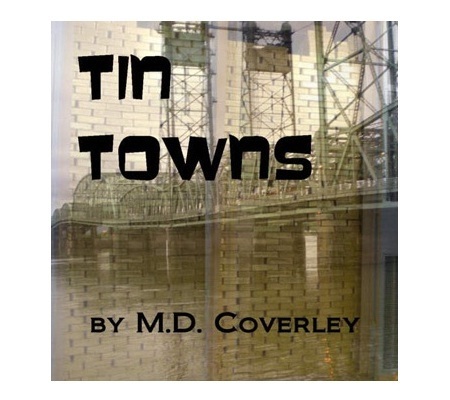 Tin Towns and Other Excel Fictions contains works about mega-events that include historical periods from the collapse of the Bronze Age to the present. In looking at the reconfigured data for these events, we begin to explore how our narratives of understanding (or misunderstanding) are assembled. When I began to develop Tin Towns and other Excel Fictions, my goals involved getting the piece to work on the Web and having some portability to other venues. I started this piece in Flash, but became discouraged when Flash was not being supported on some of the newer platforms. I had already been caught in the software/platform eclipse several times. My first long narrative, Califia, no longer plays on Windows 7, 64-bit machines. Similarly, works for the Web -- some solo and some that were collaborations with Stephanie Strickland -- are so altered from their original form on the newer browsers as to be unreadable. Finally, my second long narrative, Egypt: The Book of Going Forth by Day was authored in four separate software systems. Its final form resides in Director, which for my creative purposes is not adequately supported or upgraded by its current owner, Adobe Systems. While I was working on Tin Towns, I also happened to be learning the software for my new Windows 7 machine. The one program that did not require a long learning curve was Excel, an application whose ancestors, in addition to VisiCalc, included SuperCalc. Imagine, the spread sheet folks were able to work with software that operated essentially the same as an historic application that was capable of iteratively solving circular references using cells that depend on each other's results. The newest Excel has many more options, all of them, though, still based on the spreadsheet concept and basic design. I began experimenting with what I called "Excel Poems", little one-screen stanzas that explored the Excel possibilities. Then, I decided to transfer Tin Towns into a largely Excel format and continue adding segments to that beginning -- thus, Tin Towns and Other Excel Fictions. A second idea that has been growing in importance recently, with the advancements in technology, is that of the evolution of interface. The proliferation of basic kinds of interfaces has been a constant feature of technical evolution. In addition to the classic standards -- the Command Line Interface and the myriad versions of the Graphical User Interface (GUI) -- we also have become accustomed to touch screen interfaces, gesture tracking interfaces, motion detecting interfaces, and voice interfaces, among others. Looming ahead -- Interface-Free Electronic Literature. The idea that a story or poem can be revealed entirely through direct manipulation is fascinating, and it started me thinking about the role of interface in my own work. What I realized was that the Interface was always an important aspect of the creation of the work. In fact, within the genre of digital literature itself, I had come to think of the interface as a defining part of the medium, much the way that sculptors might approach a work of wood differently from one of marble. Aside from the initial content that spurred the beginning of a piece, the software and platform elements seemed to be in continual interaction with the content of my writing. This interaction not only shaped the architecture of the work, but impacted the style and tone, the discovery and trajectory. In fact, the content itself sometimes emerges largely through the interface that the software allows. Indeed, some works involve an actual surrender to the software. A vivid example might be, Endless Suburbs,  that was almost entirely inspired by a java applet. Still, the more popular applications of electronic communication have favored speed and simplicity, and audiences have become used to this. (and now favor a minimum of textual content) On the other hand, one of the most interesting aspects of the real world is its layered complexity, and I have always thought of art, in whatever medium, as a way of making that complexity into a greater truth that we can materially experience. So, complexity is the third strand in the braided considerations -- obsolescence, interface, complexity -- that accompany my thinking about new work. Tin Towns is a work that is shaped by the fact that its interface is a spreadsheet. The configuration of the software constrains the work and gives it a metaphorical referent, as well. As with my other large projects, Tin Towns comes out of a desire to use software-designed structures to re-arrange, layer, and compress time and space -- to look at time as a kind of space and vice versa. History is always a part of these explorations, and one of the periods that came to interest me was the end of the Bronze Age around 1200 BC. This Bronze Age collapse is a transition in the Near East and Eastern Mediterranean from the Late Bronze Age to the Early Iron Age that some historians believe was violent, sudden and culturally disruptive. The palace economies of the Aegean and Anatolia which characterised the Late Bronze Age were replaced, after a hiatus, by the isolated village cultures of the Ancient Dark Age. Bronze, a critical commercial and military product of the time, is produced by combining copper with tin. Some researchers today suspect that a shortage of tin contributed to the devastating implosion of the Bronze Age cultures. Assuming that this lack of readily accessible tin was a factor, it is interesting to note that this shortage has been mostly invisible in the documents we have from the time. The starting point of Tin Towns, then, is the hunch that civilizations can rise or fall on conditions, such as trade disruptions or shortages, that may not even be evident to the people of the time. (It may well have been that a few elite at the end of the Bronze Age saw the collapse as more endemic than just invasions and political instability; there are hints in letters sent from Ugarit to the Hittites, for instance. But in general, the violence of the presenting crisis takes most of the attention.) Today, though, we have a culture of doomers on the World Wide Web, finding a community in fellow bloggers. Their language seems to arise from the Cassandra instinct (always a minority voice) that precedes most crises. It seemed appropriate to use the language of the "tin foil hatters" for Tin Towns. So, as I continued working with the Tin Towns idea, I moved to using Excel software because it seemed so familiar and stable. Yet, as the project progressed, the metaphor of the financial balance sheet -- one that is both physical and speculative -- seemed to suggest the architecture and iconography of the piece. Not only was there the spreadsheet layout that allowed a compression of both time and space into formulae, but there were all kinds of templates that presented themselves! As the project builds, each Excel file represents a different "chapter", if you will, in the narrative that is not really a narrative at all. budget makers, billing statements, expense reports, competitive alternative map for market positioning, blood pressure trackers, loan amortizations, agendas, tinkle potty chart, calendars, wedding seating charts, memos, production errors scatter chart, display booth diagrams, schedules, statements, breakeven interactive chart, and time sheets. Most of the Tin Towns stories use these specialized applications, and the nature of the specialized organization relates directly to the theme of the story. However, I am not very concerned with the correct application of the equations or the functions and forms. They are a way of commenting on the fact that, for all the quantification of our economy, (as a way of understanding the world) many of the most important elements (both of the past and of the future) are simply not factored in. In some cases, the creative misuse of the helpful templates is evident. 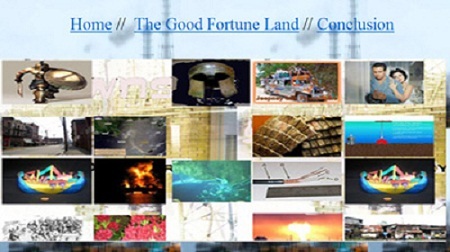 As I mentioned earlier, in addition to thinking about platform, interface, and complexity, I hoped to find a way to allow the user to manipulate Tin Towns and other Excel Fictions on-the fly on the Web and to be able to show these works from a variety of computer types at conferences and readings. Those two goals proved much more elusive. I could not find a way to allow the functions of Excel to work on a computer that did not have that Windows software installed, nor could I get it to display on an HTML page. (There may be workarounds for this, but consultations with many practitioners with extensive experience did not produce any.) So, I began trying to do screen shots of the Excel spreadsheet. That also proved difficult; no matter how I tried to save these graphic image files, they came up white-on-black in Photoshop. They were unreadable. For a reading at the Modern Language Association Convention in Seattle in January 2012, I resorted to mocking up the spreadsheets in regular HTML tables -- not a good solution, but one that allowed me to at least show what the Excel screen looked like in its initial state. At that point, it seemed as though there were not going to be solutions that would make Tin Towns portable in any way. Then, quite by accident, I came across an application for my IPad that, so far, has offered new promise for performance of the pieces, at least. The OnLive Desktop produces a Windows 7 screen on the IPad, complete with Word, PowerPoint, and Excel. I can upload my Excel files to the cloud and have them synch automatically when I open the Excel file on the IPad. I am currently working with refining this technology, adding images and videos to the Excel files and testing the possibility of showing Tin Towns and Other Excel Fictions on the IPad screen. The technology, however, continues to speed along at a remarkable rate. Now, the new IPad 3 is out -- offering 4G connectivity. (a bonus for shhowing large files and videos) Windows 8 is slated to appear with touch-screen capability, which will also change the tech considerations. Finally, some observers have warned that OnLive Desktop, in streaming Microsoft software from the cloud, may not be in conformance with copyright regulations. All of these elements will continue to shape the programs, interface, complexity, and availability of this work. 1. The origin of Endless Suburbs is rooted in a collection of Applets that one could "borrow" on the World Wide Web -- in this case "Anfy Applets." It means to give the appearance of pages of a book being flipped. But to me, it somehow suggested the replication of objects in a nearly infinite manner -- a duplicating machine -- churning out objects like cars, like houses, like Southern California. In this case, then, the software is an integral part of the thematic construction. In fact, it is the central engine of the piece and embodies the metaphor of the story. It also controls the tone; this is a light piece, a kind of minimalist, tongue-in-cheek story.